As the days get longer and the sun shines brighter, the warmer seasons are definitely underway (assuming that you’re in the northern hemisphere!). Whether you’re poolside or working hard in the classroom, a healthy fruit and vegetable smoothie is always a great companion. I personally enjoy at least one smoothie a day, but everyone has different dietary needs, so eat what is best for you! What makes smoothies so great? It’s their ability to transform admittedly bland ingredients into a tasty fusion of flavors. There are a variety of different ingredients to play with – including fruits, vegetables, almond milk, apple juice, yogurt, and more. For a moderately active 20 year old, the CDC recommends that you eat 2 cups of fruit and 3 cups of vegetables per day. 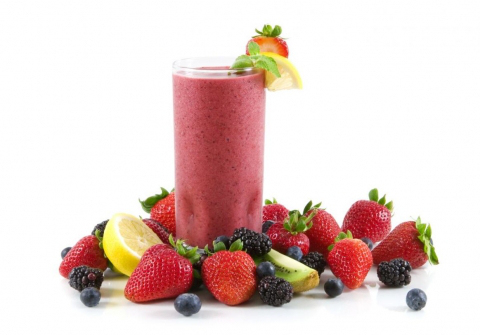 Check out the tips below to find your smoothie nirvana and get blending! The combinations above are suggestions – but there are many ways to put together ingredients to create a smoothie you enjoy. Happy blending! Next Article What’s Coffee with a Cop…?